Available in March 2019! The beautiful Springdale ranch from the Monarch Collection is located in the brand new Provenance community. A former model, this home features 3 beds, 2.5 baths, main floor study, great room, spacious kitchen & 2.5 car garage. 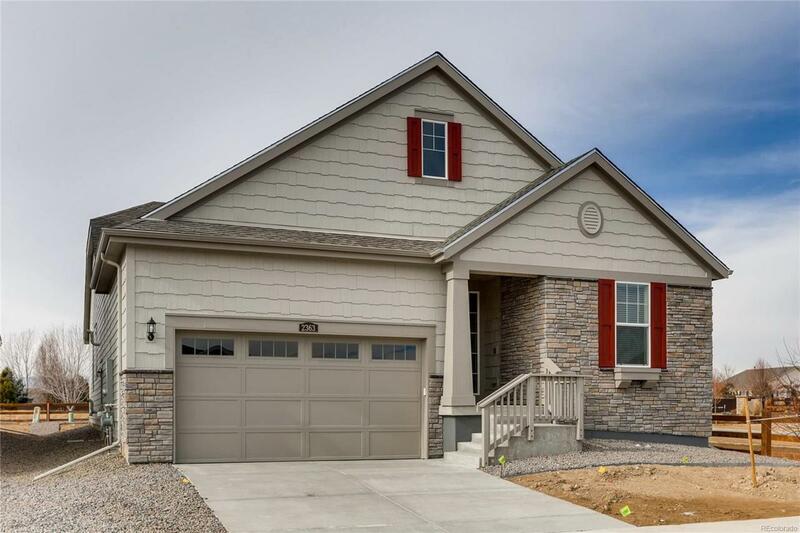 The large master has a 5 piece bath w/slab granite counters, separate shower, dual vanities, garden tub & huge walk-in closet. The kitchen has a large island, slab granite counters, stainless appliances, 42 cabinets w/crown molding. Enjoy warm summer evenings on the covered deck or cold winter nights in front of the great room gas fireplace. The open basement is waiting for your future expansion. Provenance is conveniently located close to shopping, dining, entertainment, transportation and other great outdoor opportunities. Easy commute to Downtown Denver, Boulder, Golden and beyond. Don't wait - this home will sell quickly.